I was invited to participate in the 30 Year Anniversary Act Up March. 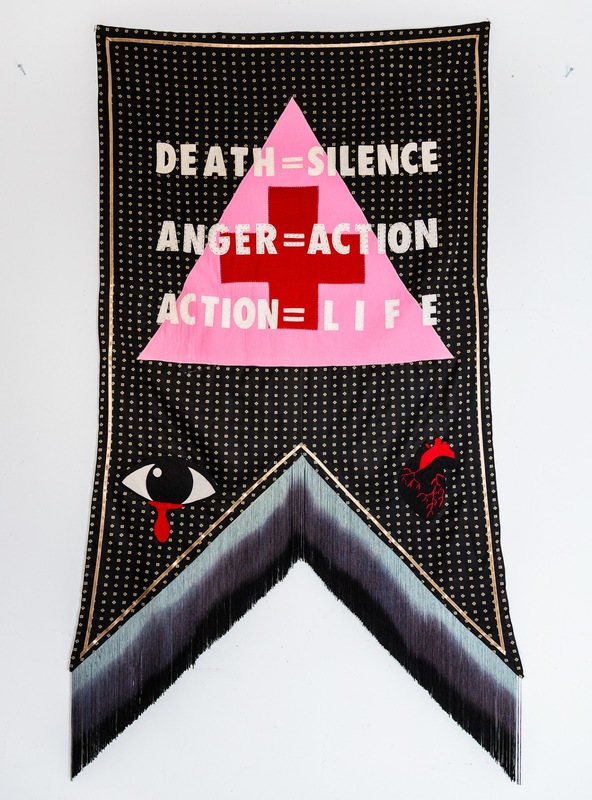 We gathered in the ‘Aids Memorial’ and I brought the banner I had made and pink bandanas (for people that preferred privacy, to wear). I have several friends living with AIDS and that are HIV+. In my generation, I didn’t have friends dying from aids. 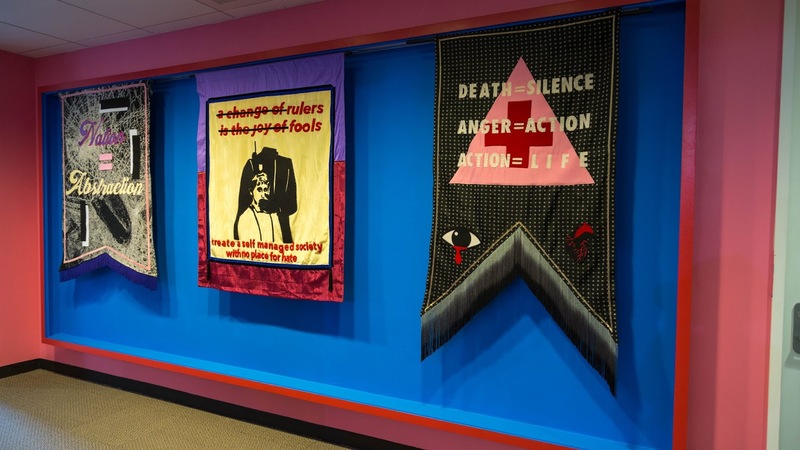 This March, more than a remembrance of the tragedy of the AIDS epidemic and the state’s apathy rooted in homophobia during it; was an opportunity to act against bigotry and the disenfranchisement of vulnerable people. It was important to meet some of the ACT UP veterans that have been around since the beginning of the movement and who have seen their loved ones die. An elderly man, saw me having trouble rolling up the delicate banner, when the march ended at Union Square, he said “let me do it darling, I am a fashion designer, I have more than 40 years of experience” and he taught me how to do it properly. He had a technique so the fabric remained pristine and folded the corners in a special way. I will never forget him, I felt so much love and respect for this stranger. I felt that we owe so much of what we have today to him. I know I should say, to people like him. But I felt immensely grateful to this man, he contained in him, so many others who had passed, he had lived so much. He had the gentlest touch and also this aura of kindness around him. I know he felt grateful that a bunch of youngsters came to support them.